Phoenix Lights returns home for its fifth anniversary on April 5 and 6, 2019 at The Park at Wild Horse Pass in Chandler, Arizona with an otherworldly lineup. Phase one was revealed quite some time ago with musical acts, Claude VonStroke, Excision, Griz, Kaskade, San Holo, and many more. Festival organizers, Relentless Beats has rounded out the talent brimming roster with four major additions, the self-proclaimed ‘where luxury and irony intersect’ duo – Black Caviar, the quickly rising star – Devault, bass house aficionado – Dillon Nathaniel, and breakout electronic artist – Vanic. The complete lineup reveal was accompanied by an artist by stage breakdown. Phoenix Lights will host four mega stages, The Colony, Fallout, Invasion, and The Mothership. Each stage will cater to various genres and artists across hip-hop and electronic dance music. Whether you’re looking to shuffle, groove, or headbang, Phoenix Lights has got you covered. First up is The Colony. This stage will be hosted by Relentless Beats’ very own underground brand of house and techno, RBDeep. The bill is jam-packed with some major names including Claude VonStroke, Gerry Gonza, Lane 8, Shiba San, Spencer Brown, and some of Arizona’s hottest local talent. Fallout will be home to Arizona’s best local talent. No need to run from stage to stage to check out the different genres, this one will have it all in one place. 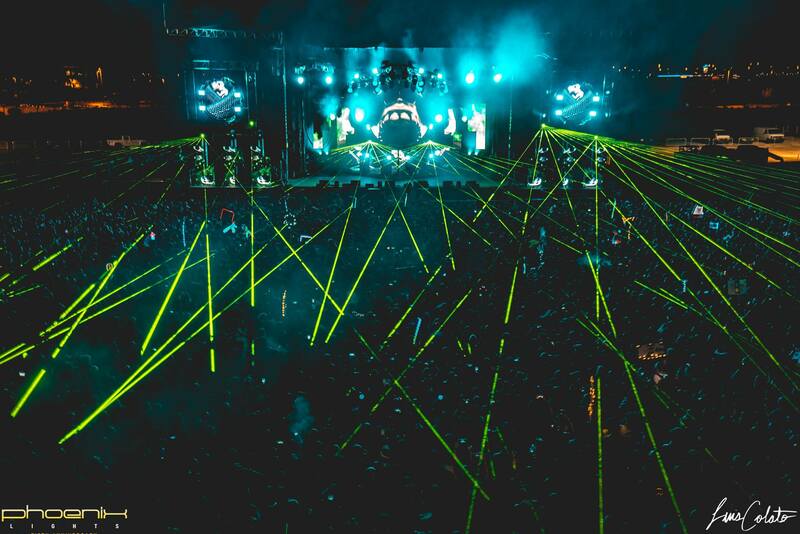 If you’re looking for an EXPLOSION of BASS, then prepare to be abducted by the Invasion stage. Artists such as Decadon, Doctor P b2b Cookie Monster, Sikdope, Subtronics b2b SQUNTO, and many more will be taking over Lights. Last, but not least, the Mothership, aka main stage. Mothership will feature some of the largest performances of the weekend from artists such as Big Gigantic, Excision, Griz, Kaskade, Malaa, Mustard, San Holo, and more. Phoenix Lights GA, VIP, & Platinum VIP passes are currently on sale. All ticket options and payment plan information can be found here.